At CBC Warehouse, LLC. 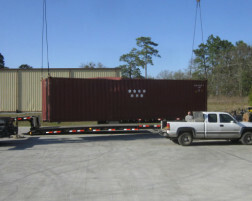 we offer container stuffing and stripping. 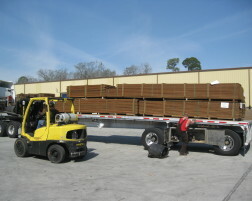 We have the ability to ground load flatbeds, lowboys, double drop trailers and with 8 dock high doors. I wanted to write a short note to thank you folks for the services you have been providing to cover our import needs in the southeast. As importers/exporters we find that our customers impressions of our customer service is many times a direct reflection of the efficiency of our warehousing and logistics partners. 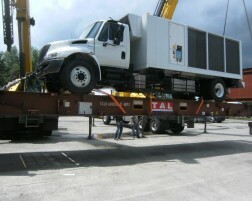 The staff at CBC are an integral part of our delivery chain and a model for us to duplicate in other markets we service. Our customers have commented on our efficiencies out of CBC when it counts, when the chips are down, when the last phone call you received originated from Mr. Murphy. The staff are solutions people, courteous and responsive. 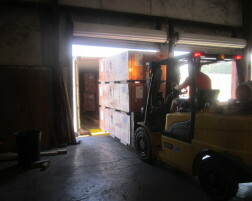 The package of drayage, stripping, warehousing, loading and experience is second to none in this industry. I highly recommend them as a business partner if you are in the market for these services. Please don’t hesitate to contact me if references are needed. I wanted to take this opportunity to write a note of appreciation for the assistance the staff provided me on my last visit to Savannah on a inspection trip. We have been doing business with you for upwards of 18 years through all the ups and downs this organization and in particular Bill Barbee and Mike Huffman have been an invaluable resource to our warehouse operation. The can-do attitude exhibited any time some extra effort is required exemplifies what is best in class and customer service. We welcome your inquiry for rates and charges for your upcoming project. If it is a single shipment or an ongoing project, we will be happy to work with you to make your logistical challenges as easy as 1, 2, 3. Please feel free to call or complete the online form and we will contact you directly. Mike Cristancho / The Digital Project Manager / TheDigitalPM.com Copyright. © - Submit content requests to CBC.